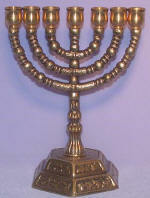 Solid brass menorah with seven large candle holders. 7" tall. Imported from Israel. 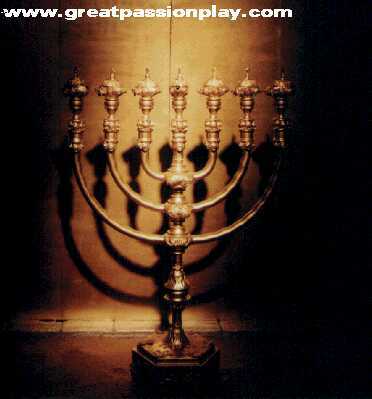 The Bible text about the golden lampstand (Menorah) is Exodus 25:31-35. 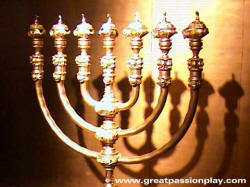 The lampstand has often been mistakenly called a candle stand or candle stick. 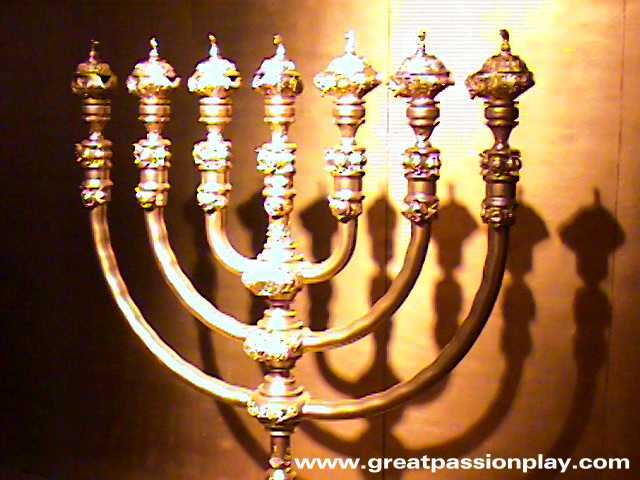 Rather than using candles, the lampstand had 7 lamps fueled by olive oil. This was one of the few Tabernacle items of solid gold. It stood about as tall as a man. It had decorations on it like almond flowers, buds and branches. 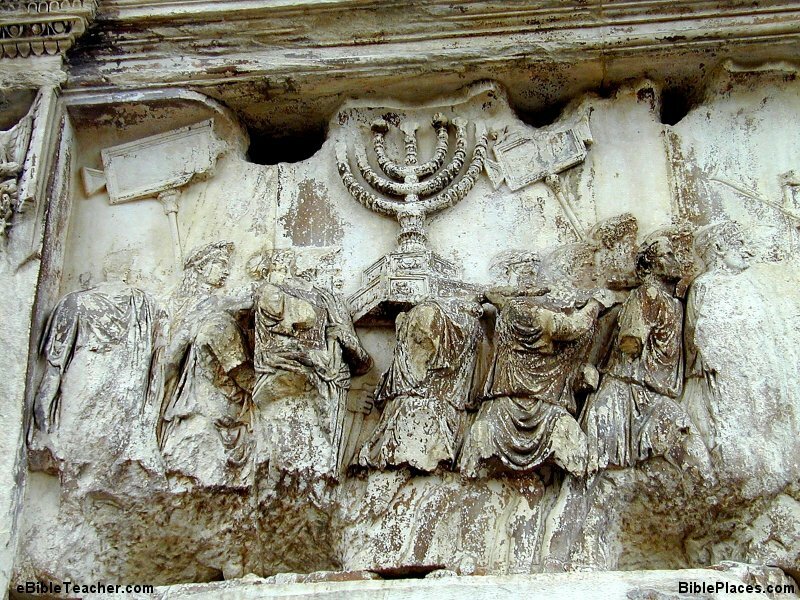 We do not have a picture of it in Old Testament times but there is a Roman carving believed to be of the lampstand of Herod's temple in the Roman Arch of Titus celebrating the conquering of Jerusalem by Titus (see below). Some old Jewish images show the base to be three legs but the Roman image shows a wide inverted bowl shaped base. This drawing is by Brent Kington. Left is a picture of the item as envisioned by the folks at "THE GREAT PASSION PLAY" who built a full scale model of the Tabernacle. ARCH OF TITUS MENORAH - This image inside the Arch of Titus is believed to show the Lampstand taken from Herod's temple. Courtesy of BiblePlaces.com.